Titan Cement UK Ltd., located in Hull, is a wholly owned subsidiary of Titan Cement Company S.A. of Greece. The company was formed in January 1990, to supply the UK market with quality assured Portland cement, type CEM I: 52.5N according to EN 197-1. 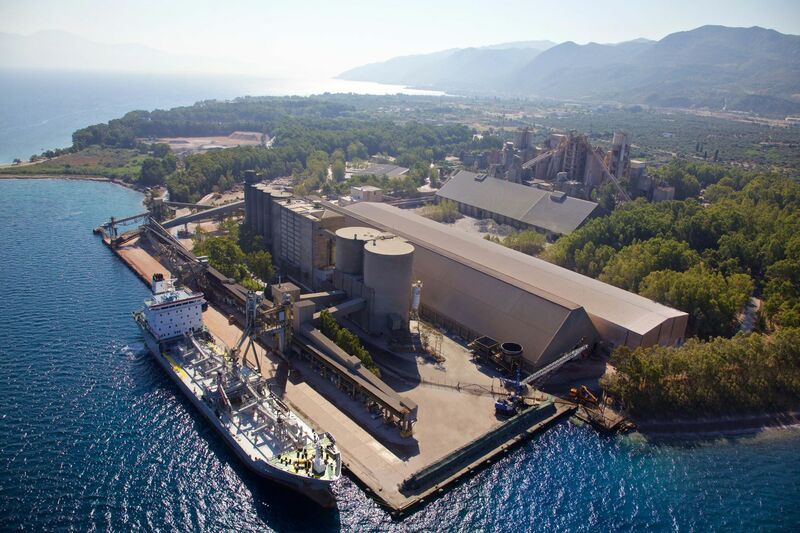 For more information on our parent company visit www.titan-cement.com The cement for Hull is sourced from the dry process manufacturing works located at Patras/Drepano, approximately 195 km west of Athens. Patras/Drepano, this one of the four company owned works in Greece, and holds the BSI kitemark Licence Number KM 645120 dated 20/12/2015, along with the CE mark acquired from IQNET member ELOT which also produces according to ASTM standards. The Quality System of Plant was certified from IQNET member ELOT according to the standard ELOT EN ISO 9001: 2000, registration no. GR 02.16.04/411.02. 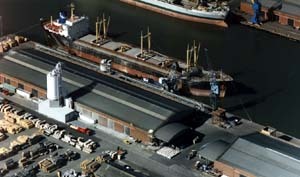 The facility in Hull, comprises of a warehouse with a 38,000 tonne storage capacity which is on a long term lease from Associated British Ports. The warehouse, having been modified to ensure all round dry safe storage, is replenished by feeder vessels carrying cargoes of about 25.000 metric tonnes. The cement is unloaded by means of a mechanical auger (Siwertell), conveyed pneumatically through pipes and distributed into various parts of the warehouse. The cement is then transferred to a 1.200 tonne silo whereby two road tankers can be loaded simultaneously on the weighbridges located in an enclosed area beneath the silo. The company currently delivers bulk cement only. Cement certificates and the ISO and data sheets.